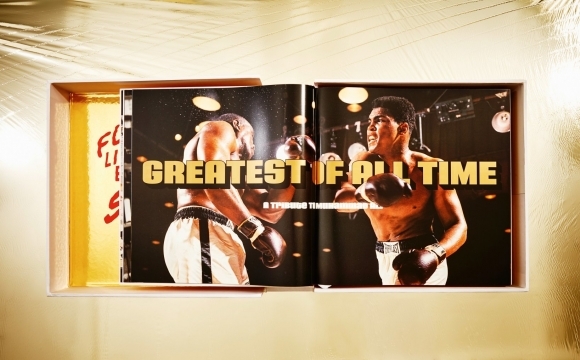 GREATEST OF ALL TIME: A TRIBUTE TO MUHAMMAD ALI is a book with the power, courage, depth, creativity, and dazzling energy of its extraordinary subject. With thousands of images, including photography, art, and memorabilia and two gatefold sequences, this epic publication pays vivid tribute to The Greatest both in and outside of the ring. Original essays and five decades’ worth of interviews and writing explore the courage, convictions, and extraordinary image-building that made Ali one of the most recognizable and inspirational individuals on the planet, an icon not only as an extraordinary athlete, but also as an impassioned advocate of social justice, interfaith understanding, and peace. 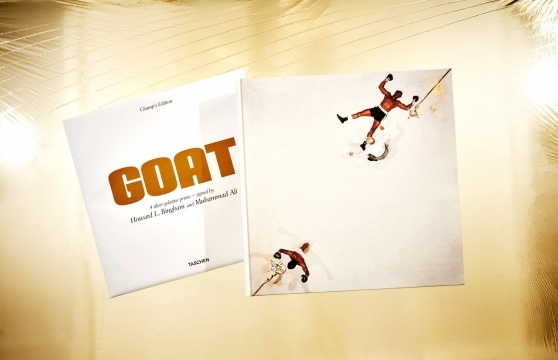 Limited Champ’s Edition of GOAT—GREATEST OF ALL TIME, the ultimate tribute to Muhammad Ali. 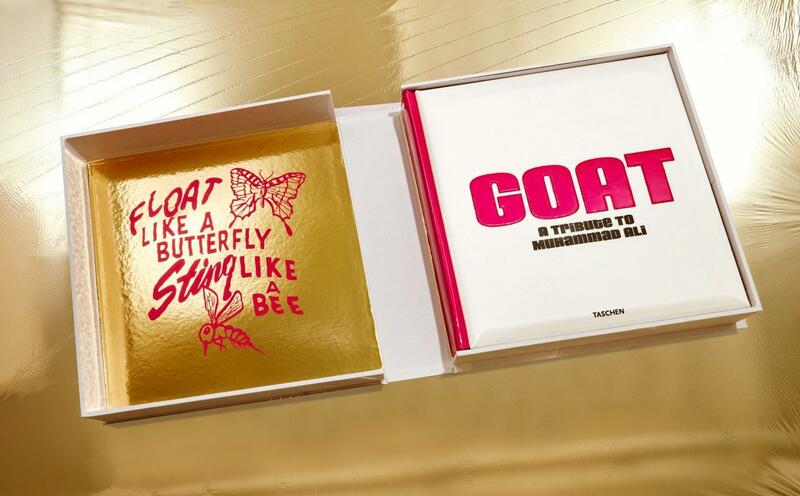 Each book is signed by Muhammad Ali and Jeff Koons, and presented with the sculpture Radial Champs by Jeff Koons, and four gelatin silver prints of The Champ, each signed by Howard L. Bingham and Muhammad Ali. Limited Champ’s Edition of 1,000 copies, signed by Muhammad Ali and Jeff Koons, with four gelatin silver prints and the Jeff Koons sculpture Radial Champs. The sculpture Radial Champs by Jeff Koons, measuring 175 x 170 cm (69 x 67 in.) 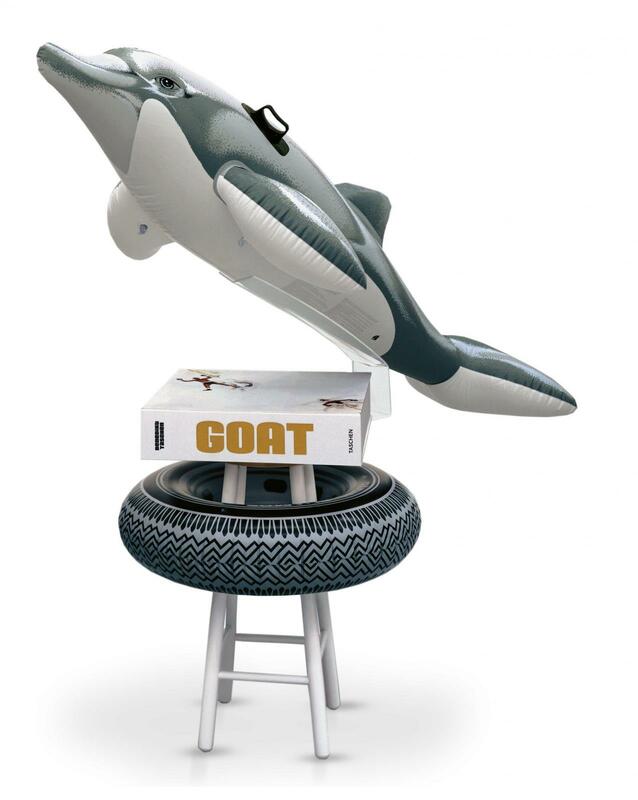 and comprised of two inflatables and a stool. 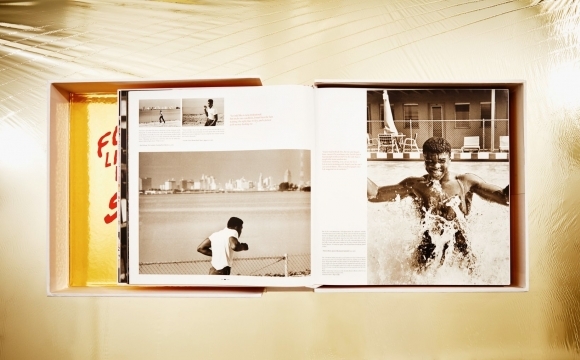 Hos oss på Newport finner du ett stort utbud av magnifika coffee table books. Med hårda pärmar och vackra omslag, fyllda av inspirerande och berättande bilder är det en fantastisk inredningsdetalj att låta ligga framme på bordet. Skapa ett vackert stilleben eller ha boken uppslagen så gästerna kan bläddra i den.